American River College’s James Kaneko Gallery held open art submissions for students last week. 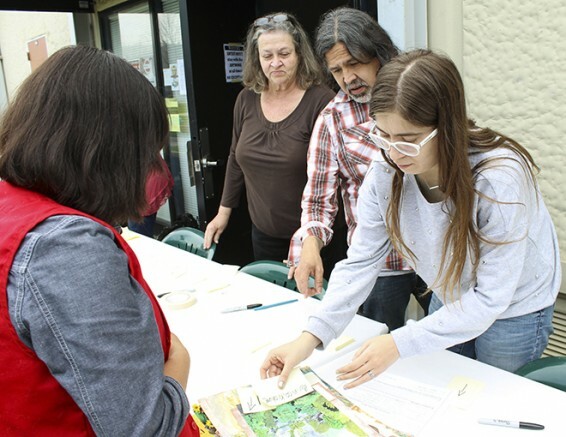 ARC students submitted multiple forms of art into a contest held by the Kaneko – the art gallery contest winner will have their piece published in the American River Review, the school’s literary and art magazine. The magazine will be published December 16, with the winning art piece printed inside. Multiple types of art were submitted, such as paintings, sculptures, applied art, digital art, jewelry, ceramics, photographs, prints and drawings. All artwork must have been completed within the past two years for proper submission. “Art submitted into the magazine are of both literary and art pieces. After the submission dates we will photograph all entries before we start the voting process,” said Kaylee Mulholland, a current ARC student in the art program. Students enrolled in the course will vote on the art submissions for placement into the magazine. “Students will choose the art that gets submitted into the art magazine,” said Mulholland. Sandra Harvey Thompson is currently enrolled in an art course and submitted a panting into the contest for the first time. The painting, titled “Tree of Life,” represents the connection between Thompson and her family. “My family inspired me to paint this photo… I’m hoping to move forward with art, and this is a good way to start,” said Thompson. Chris Gingrich submitted handmade ceramic coal pots. Gingrich has made creating ceramic items a hobby; he submitted his art twice into this contest, and placed first one year. There are a variety of art courses offered through ARC. Any students that have an interest in art can stop by the art department for more information on the courses offered and art contest submission dates. Be the first to comment on "Students submit art for Kaneko gallery"